Nobel Laureate economist Amartya Sen (85) spent his school years at Santiniketan, which thanks to Rabindranath Tagore and his Visva Bharati has found a prominent place in the world map. 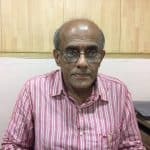 Talk to Professor Sen about India’s farm distress, better still of greater dimension rural distress and he would nostalgically return to his childhood abode to give a graphic illustration of how sustained rural distress did wreak havoc on the indigenous people of the area. Many decades ago between Sen’s house at Santiniketan and a rice mill some four miles away, tribal families owning small plots of land were engaged in paddy cultivation. Those families are all gone selling their land at whatever prices they could get from people mainly from Calcutta. Paddy fields are now full of houses because, according to Sen, tribal farmers got into serious debts. The Santiniketan example is representative of the crisis that has gripped the Indian agrarian economy and shows no signs of going away even though the present regime has made a promise to double the income of farmers by 2022. On coming to power in 2014, the BJP led government promised farmers a 50 per cent profit over cost of production of crops. The laudability of the programmes is not in question. But some five years since market prices of most crops have remained well below minimum support prices, thanks to lack of official market intervention. In fact because of the vulnerability farmers, particularly the small and marginal both in times of low and high production to exploitation by market intermediaries, they have remained in perennial debt trap. Both because of the complexity of Indian agriculture market represented by fragmented market chains and excessive crowding of intermediaries as well as their connections with politicians at the grass-roots level, the country has seen limited reforms in marketing of farm produce on harvesting. As the physical market at the primary level remains heavily loaded against farmers and the government open procurement system works somewhat effectively only in rice and wheat, growers of other crops are condemned to loss in income year after year. Income loss in a particular season is to be measured by rises in production costs on different heads and slippages in prices of farm products. This becomes particularly so when farm output will rise, aided particularly by favourable weather and absence of pest infestation of crops well in excess of market demand, for the intermediaries to go for a killing causing much distress to growers. Mounting debts will leave growers desperate to the extent of many of them committing suicide. At the same time, their protests are becoming more and more organised and focussed on issues responsible for farm distress. 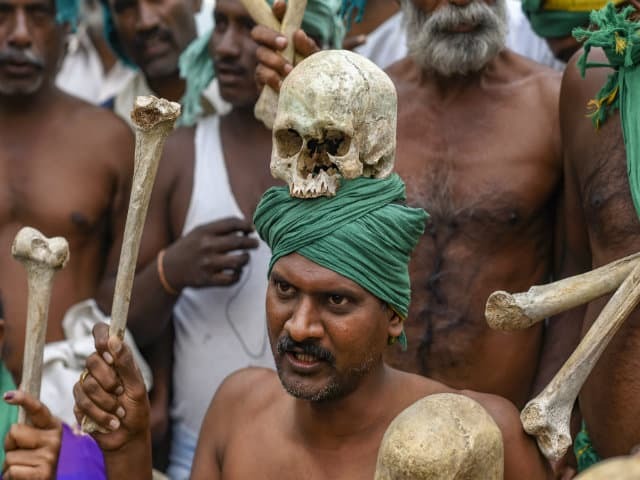 Marches of thousands of farmers to Mumbai and Delhi in recent times overcoming great personal inconveniences and tight security bandbost proved to be quite unnerving for the powers that be. Growing pauperisation of farm community, including actual land owners, tenants, sharecroppers and landless have led some states such as Telengana to introduce Rythu Bandhu Scheme (RBS) and Orissa to launch Krushak Assistance for Livelihood and Income Augmentation (KALIA) programme. Orissa’s KALIA is refreshingly more inclusive in that its financial support of Rs10,000 a year is for all small and marginal rural families involved in farming as land owners or otherwise. In contrast, RBS as it excludes tenants and sharecroppers, who actually till the land from the Rs8,000 an acre support suffers from serious regressivity and therefore, will achieve less than the intended remission of agrarian distress. More than the state level schemes providing the much needed relief to farm families what really caused discomfiture to prime minister Narendra Modi who goes on making all kinds of promises, achievable or not was Congress president Rahul Gandhi making the announcement that if elected to power his party would guarantee a minimum income to every poor citizen in the country. This translates into “each poor person in India will have minimum income. This means there will be no hungry, poor people in India.” Parliamentary elections being a few months away, this is the season for rhetoric. There is nothing wrong if Modi government thought that the Gandhi salvo could easily be countered by way of a welfare proposal in the interim budget. Interim finance minister Piyus Goyal who presented the election eve budget on 1st February has offered a measly annual amount of Rs6,000 to 120m farmers with cultivable land of up to 2 hectares. The amount to be transferred directly to bank accounts of beneficiaries in three instalments will cost the exchequer Rs75,000 crore a year. Expectedly Gandhi has found the grant of “Rs17 a day an insult to our farmers.” Orissa chief minister Naveen Patnaik who would not give anything more than 2.5 out of ten to the interim budget was disappointed that the centre should have at least matched what his KALIA scheme was to do for the state farmers. As if all this was not enough, Yogendra Yadav, national president of Swaraj India, finds the PM Kisan Samman Nidhi “far from being a samman (respect) is an apaman (disrespect) for farmers. Frankly, it would have been alright if the government had made no declaration at all” in this regard. There is no quick fix to the Indian agrarian crisis. From the shrinking size of agrarian land holdings – the average size is down from 2.3 hectares in 1970-71 to 1.08 hectares in 2015-16 and it is likely to be even smaller now – to low productivity to unremunerative prices season in and season out with sector debts piling up all the time, small and marginal farmers are exposed to growing privation. From time to time, governments controlled by political parties of different hues at the federal level and in the states have responded to the crisis by periodic waiver of farm loans and granting of financial support. Many have argued that loan waiver done as part of redemption of promise made ahead of elections is completely wrong. But Professor Sen has a different take on it. He says: “Loan forgiveness is not as silly a policy as you might think. Those who have got into debt have a set of problems and it may be their fault in some way.” But he also argues that most farmers have done nothing to deserve that indebtedness. Given their pretty small income from their pretty small land holdings they are doomed into that difficult situation. The popular perception is that loan waivers are pro poor farmer in nature. The regressive kind of the waiver scheme comes to light when it is seen that not even 15 per cent of poor farmers take loans from official sources. What is more, on average, borrowings of rich farmers are four times as much as poorer ones. The agrarian crisis resulting from a combination of factors needs to be seriously addressed. Let’s consider the farm input water, which in many parts of the country, including Maharashtra and Karnataka remains in short supply. Despite this, India continues to indulge in the luxury of using up to three times the water used to produce grains than in countries such as the US, Brazil and China. New Delhi and also state governments have a major role to play in bringing about improvements in water-use efficiency and preservation of surplus water during the monsoon. More than 60 per cent of irrigation water here is used by rice and sugar cane. Should we then commit around 5.4 million hectares to growing sugar cane when year after year because of surplus production and, therefore, low sugar prices, crushing factories are not able to settle cane bills of farmers in time?